This early work by Stephen Vincent Benét was originally published in 1938 and we are now republishing it with a brand new introductory biography. 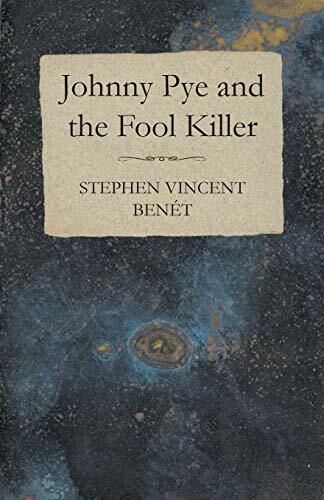 'Johnny Pye and the Fool Killer' is a novel by this prolific author of prose and poetry. Stephen Vincent Benét was born on 22nd July 1898 in Bethlehem, Pennsylvania, United States. Benét was an accomplished writer at an early age, having had his first book published at 17 and submitting his third volume of poetry in lieu of a thesis for his degree. During his time at Yale, he was an influential figure at the 'Yale Lit' literary magazine, and a fellow member of the Elizabethan Club. Benét was also a parttime contributor for the early Time Magazine. Benét's best known works are the booklength narrative poem American Civil War, John Brown's Body (1928), for which he won a Pulitzer Prize in 1929, and two short stories, The Devil and Daniel Webster (1936) and By the Waters of Babylon (1937). Benét won a second Pulitzer Prize posthumously for his unfinished poem Western Star in 1944.